Prior to joining Naval ROTC in college, I never had any experience with the military. I did not participate in JROTC during high school nor did I attend Summer Seminar at the Naval Academy. Despite my lack of expressed interest, the military still intrigued me. This stemmed from a passion for military history and my high school trigonometry teacher, a Naval ROTC graduate from Notre Dame. I remember asking him one day in class who uses trigonometry in the real world. He smiled and said he used it every day when he served on submarines when plotting a course for the boat. That’s when my initial interest in Naval ROTC began; not because I wanted to use trigonometry in my career, but because I wanted to do something different and unique in life. Leading into my senior year of high school, I seriously considered going to the Naval Academy; however, during an official visit to Cornell, I spent time with several students in Naval ROTC. Through my conversations with them I learned that ROTC is perfect for students interested in joining the military, but who still want a traditional college experience. I was sold, I committed to swim at Cornell and applied for a Naval ROTC scholarship. Heading into my freshman year, I was nervous I wouldn’t be able to balance the demands of ROTC and swimming on a collegiate level. After all, the purpose of college is to learn and earn a degree. My first semester freshman year proved to be challenging. I came from a school where I never had to study much to do well nor ever do work on the weekends, making my transition to Cornell difficult; however, both ROTC and athletics provided two support networks for me. Both offered tutoring and advising to ensure I remained successful. By the end of my first semester, I learned how to be successful in school with ROTC and swimming and adopted a routine that allowed me to prosper in all three and have a healthy social life (in reality, doing ROTC and swimming has provided me with two very close friend groups I’m very thankful to have). 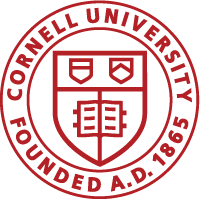 By my second semester at Cornell, I optimized my routine to the point that I joined a professional business fraternity on campus to pursue a personal business interest. I wouldn’t call my second semester a walk in the park, but my passion for what I was doing allowed me to thrive, which is definitely the most important lesson I’ve learned at Cornell: pursue your interests and passions, even if it seems challenging. Looking back, I couldn’t be any happier with the decisions I made. My hesitant military interest proved to be a great choice for me. After spending the summer in San Diego learning about all the different career opportunities in the Navy, I couldn’t be more excited to serve. Currently, my interest leans towards submarines, but many of my friends at ROTC want to be Aviators, Marines, and even Seals. While I do have a required five years of service after college due to my scholarship, I see it as something that I want to do, not have to. I’ve heard of so many great opportunities in either the military or the corporate world that await me at the end of those five years. At this time, I’m not planning that far ahead, but I know I’ll do what I’m passionate about. If you have any interest in joining ROTC at Cornell, I highly encourage you to reach out to our unit at navyrotc@cornell.edu with any questions you may have. There are no consequences to reaching out and no five-year commitment until you’ve had a year to decide if the military is right for you. Watch as Jack McSorley gives a glimpse of his week, balancing schoolwork, Naval ROTC, and Cornell Swimming.